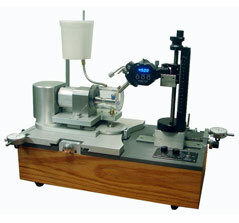 Let me start out by saying that I have been faceting for 24 years, and I have owned a few different faceting machines. 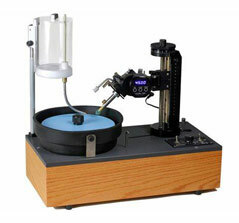 Before I bought my Ultra Tec machine, I researched all the different faceting machine manufacturers that I could find. The first faceting machine I owned (I’d prefer not to name the brand) was fairly inexpensive, though they marketed it like it was the finest machine every made. After a few years, I was happy to keep the girdle even. This started my quest to find a machine that was quality made, could be updated, adjusted if needed, had fine settings, and would last a long time. The Ultra Tec machine had everything I was looking for, plus all the pieces were machined and assembled in one location in California. I now own a V5 Machine and a Fantasy Machine, and I cut gemstones for a living. If you are a beginner, looking to get into faceting as a hobby, you might think that $4,950 is expensive for a faceting machine when there are others out there for less money. But if you do your part in understanding how a gem is cut before starting, your 1st gem will come out looking as good as your 100th gem. You should also take into consideration how well your faceting machine will be cutting in five years, and whether or not it’s likely the company will still be in business. This is when you will understand that quality and repeatability are worth the money. If you’re an experienced faceter, you probably know what you’re looking for in a machine and, in my opinion, Ultra Tec makes the Cadillac of faceting machines. The Ultra Tec Fantasy Machine is a great companion to the Ultra Tec V5 Machine. This machine will change the light going through the gem by cutting slices, dimples, or concave facets into an already cut pavilion or crown (see our “Concave/Fantasy” page for sample cut gems). A plus for this, is that you don’t have to buy another mast for either of these machines if you own a V5 machine. The same mast will work on both machines, although I prefer having a mast for each. The Fantasy Machine comes with a complete set of tools. All of the gems on our “Concave/Fantasy” page were cut using the tools supplied with the Fantasy Machine. Other tools and sizes are available. Ultra Tec machines also come with a life time warranty.